MetaTrader 4 for Mac OS X is an extremely popular version of MT4 that contains all the best program’s features, including financial analytics, trade robots, charts, notifications and much more! 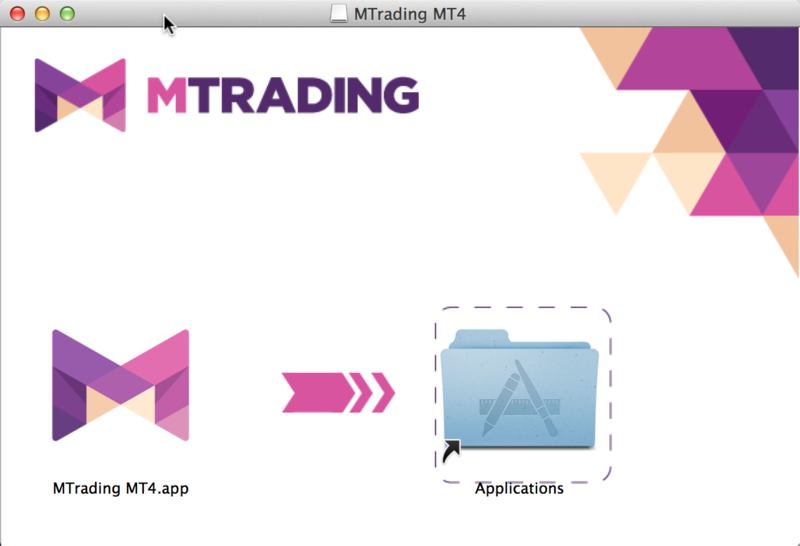 To run MetaTrader 4 on Mac OS you will definitely need to install the tool on your Mac. Not to mention, you can download, install and run MetaTrader 4 absolutely free! Download the .dmg file and open it. 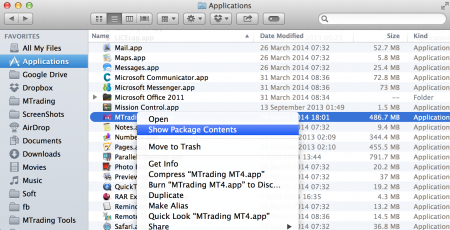 Then drag and drop the MT4.app file to the Applications folder to initiate an installation process. 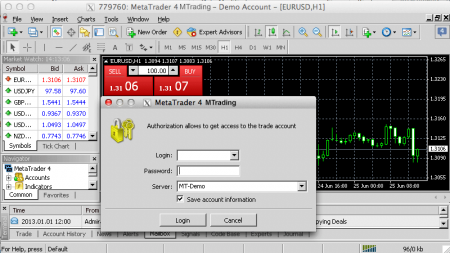 After successful installation, MetaTrader will launch automatically. Now you can Log in by entering some information for both real or demo accounts. The login page of the MetaTrader usually opens in your browser. The standard order can be opened by pressing "F9" or "fn". You can also use "Trade in one click" option by clicking on the triangle in the upper left corner of the chart or by clicking on the chart with the right mouse button and selecting "one-click trading". The function is also available by alt + T shortcut. Please, note that to start using the "One-Click Trade" tool, you will need to accept the terms and conditions for using the function. If you accidentally disabled the function or closed the window, use the following path in the settings: Extras- Options- Trading- One Click Trading- Tick the box. To install Advisors, scripts or indicators, just open the program directory and click MT4. Then select Show Package Contents. Now you have a folder with installation files. 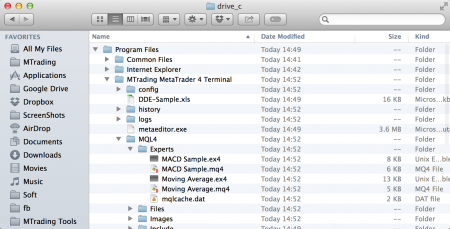 Double-clicking on "drive_c" will show the structure of MetaTrader on your Mac. Now, when you have a full access to MetaTrader files, you can easily install Advisors, indicators or scripts. Now all the users of MacBook and other devices, based on Mac OS X, can benefit from trading currencies and CFDs. Does not require the installation of emulators. Displays quotes in real time and performs transactions ultra-fast. 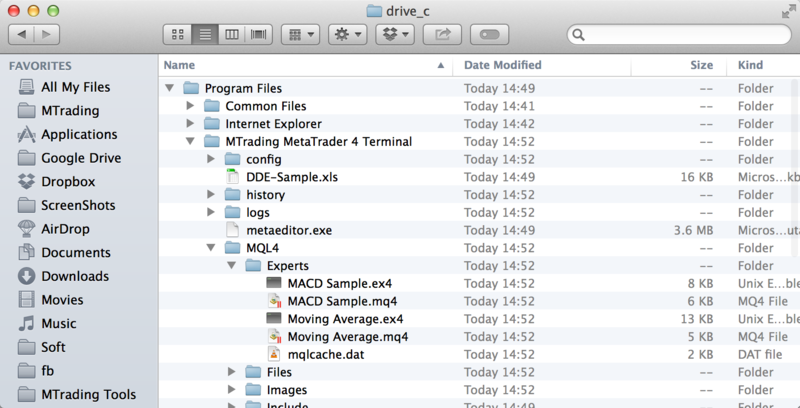 *MetaTrader 4 for Mac OS X is available for free downloading without registration. 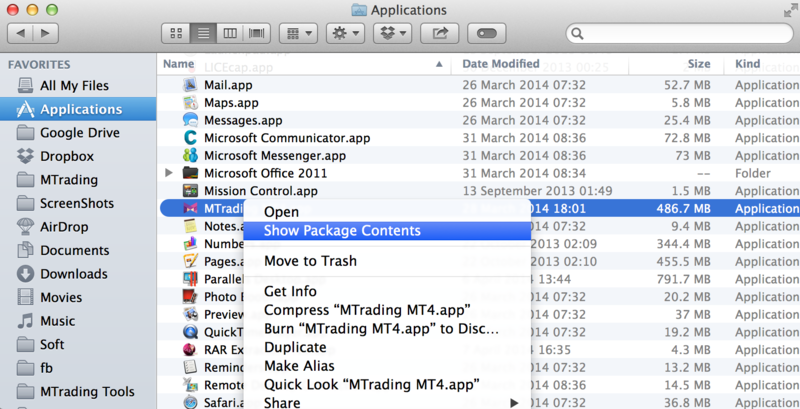 Downloads MetaTrader 4 for Mac OS X?